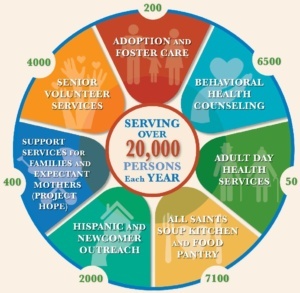 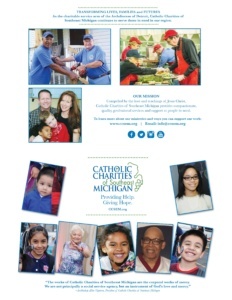 The ministries of Catholic Charities of Southeast Michigan provide help and bring hope to more 20,000 persons each year. 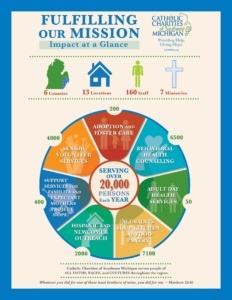 The impact of our ministries in southeast Michigan is now illustrated in an easy to understand graphic. 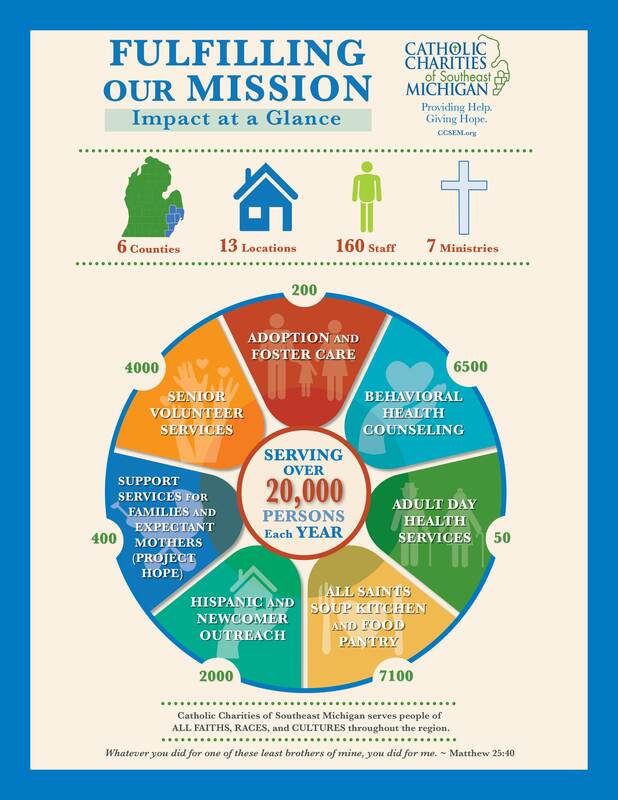 All seven ministries are summarized, with an estimate of those we serve on an annual basis.